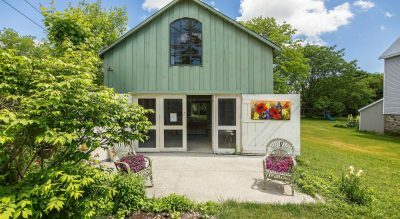 Nestled in the garden of her Victorian home, is an 1880’s carriage house (a.k.a. 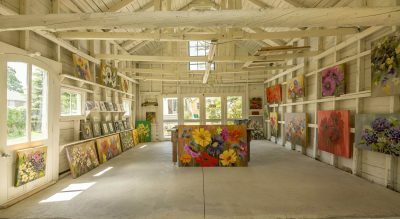 the Bloomin’ Barn), which houses Margaret’s work. 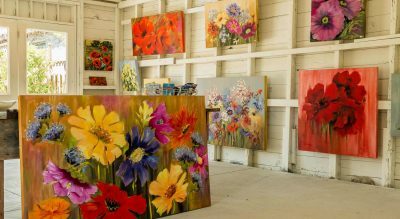 Described as joyous and uplifting her vibrant floral oil paintings are definite mood-boosters. 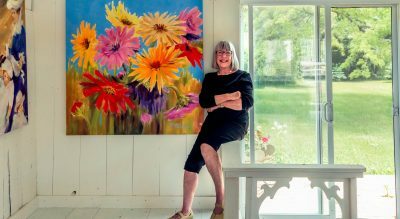 Using large brushes and confident strokes she brings poppies, peonies and hollyhocks to life on canvas. 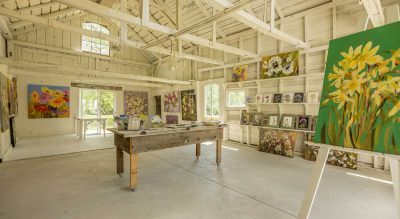 Margaret’s sun-filled studio is open from 10 am to 5 pm Thursday to Monday – from May to October. Other times by chance or appointment. Visit her on the Wellington Art Walk – she looks forward to welcoming you.